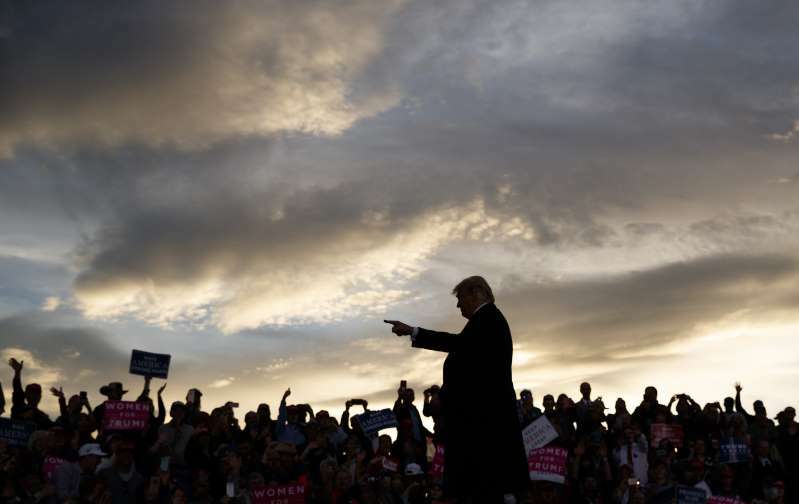 President Donald Trump, seeking to frame the choices for voters in the midterm elections, said Friday that Democrats are “too extreme and too dangerous” to take control of Congress. On a three-day swing out West to make his closing arguments for Republican candidates, Trump sought to hone in on immigration as one of the defining election issues this fall by falsely accusing Democrats of wanting “open borders” and encouraging illegal immigration. Trump, trying to hold onto Republicans’ narrow 51-49 advantage in the Senate, said a vote for Sinema “is dangerous” because it would empower Senate Minority Leader Chuck Schumer and House Minority Leader Nancy Pelosi. “The Democrat Party has become too extreme and too dangerous to be trusted with power,” he claimed.